It’s the most wonderful time of the year … One of a Kind time. The craft show and sale is celebrating its 40th anniversary as the shopping destination for unique, handmade Canadian goods. The show runs Nov. 27 – Dec. 7 at Toronto’s Direct Energy Centre, Exhibition Place. Don’t miss Zoomer Day on Tuesday, Dec. 2 with 2-for-1 admission (coupon in our November issue) and a special presentation of show favourites by Zoomer magazine’s Derick Chetty, Fashion Director and Kim Izzo, Beauty Director. Here, a sneak peak and gift picks for everyone-of-a-kind on your list. And if you can’t get to the show, shop online at oneofakindonlineshop.com. 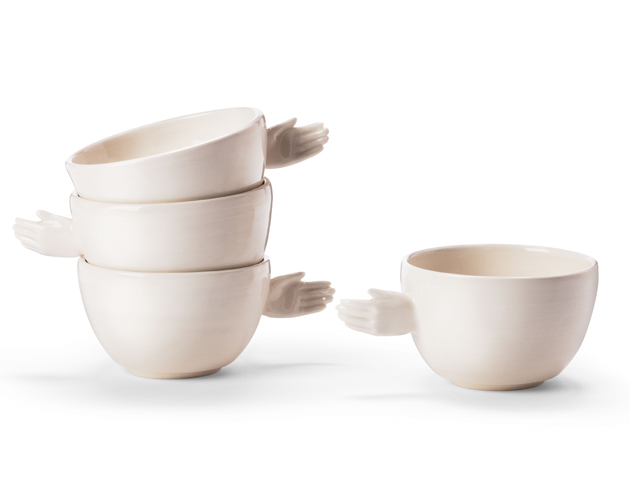 Ceramic cups $24 each by Marjorie Camiré of Majorie Camiré Céramiste, Montreal, Que. 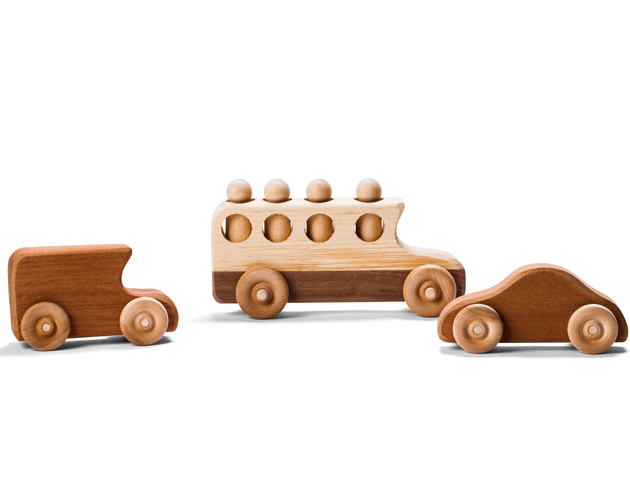 Pine and walnut school bus $11.95 and Mahogany vintage cars $4.49 each by Jerry & Rosemary Thorpe of Thorpe Toys, Waterloo, Ont. 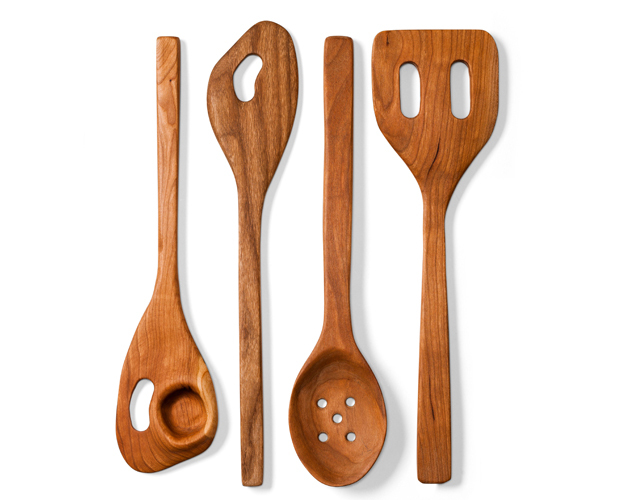 Wooden utensils $30 each by Wilfried of Elzne Elzner Originals, Cobourg, Ont. 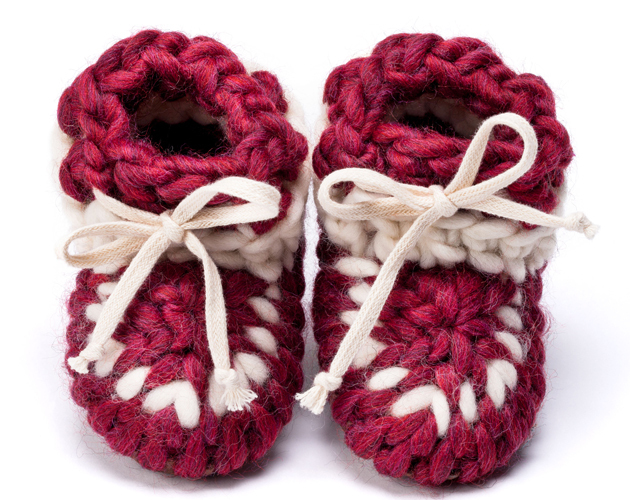 Baby booties, $40 by Meredith Combs of Muffle-Up Slippers, Colborne, Ont. 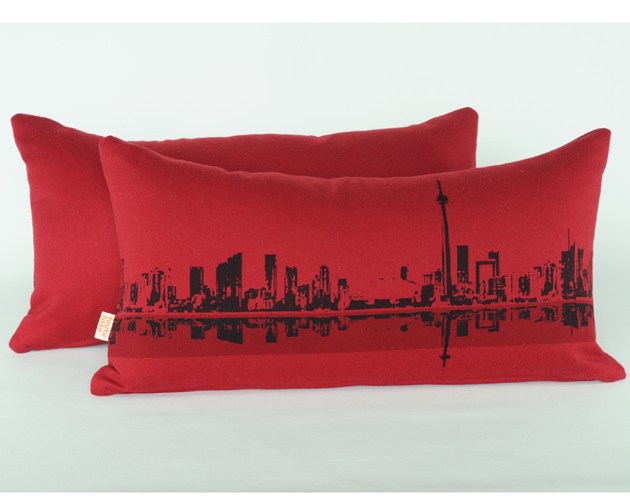 Toronto pillow, $40 by Emanuelle Dion & Isabelle Bergeron of Foutu Tissu, Montreal, Que. 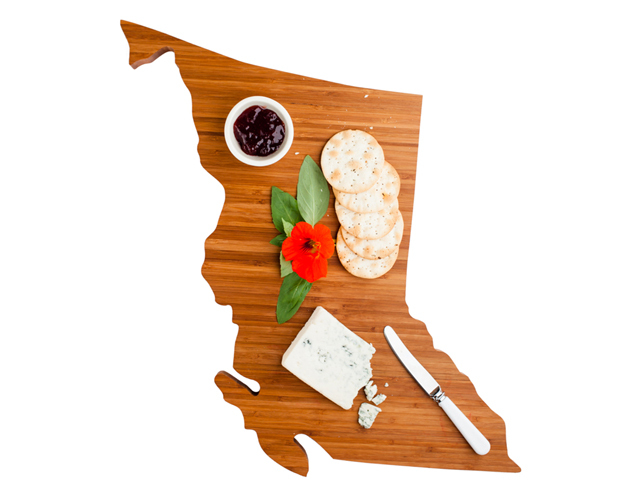 “Province” wood cutting board, $69 by Leah McIntyre of Love My Local, Vancouver, B.C. 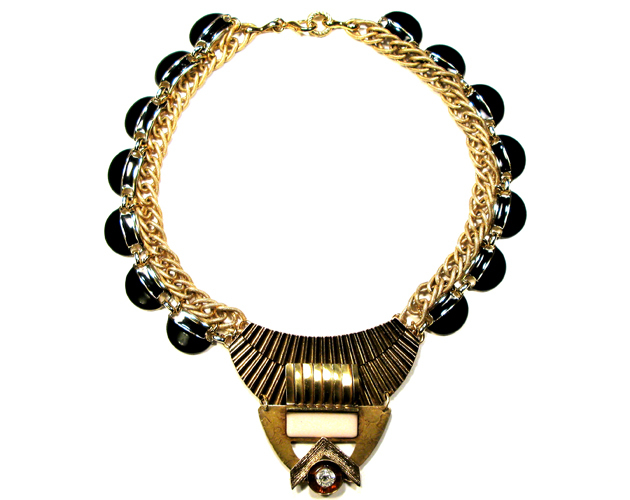 ECOuture statement necklace, $225 by Trudy Wynans of TOODLEBUNNY Designs, Vancouver, B.C. 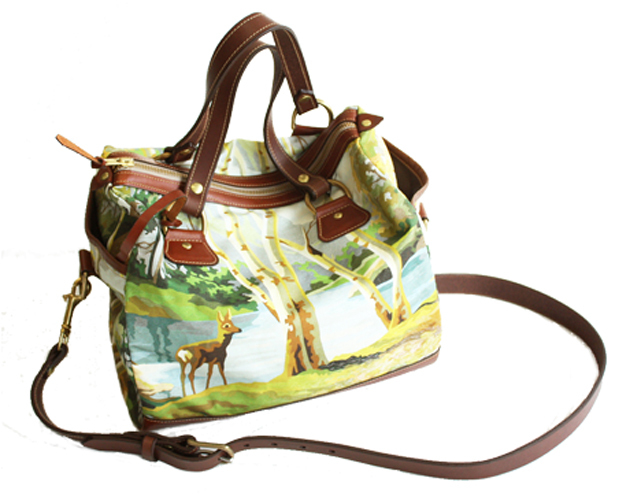 Bambi cotton, leather andie bag, $295 by Kimberly Fletcher, Montreal, Que. 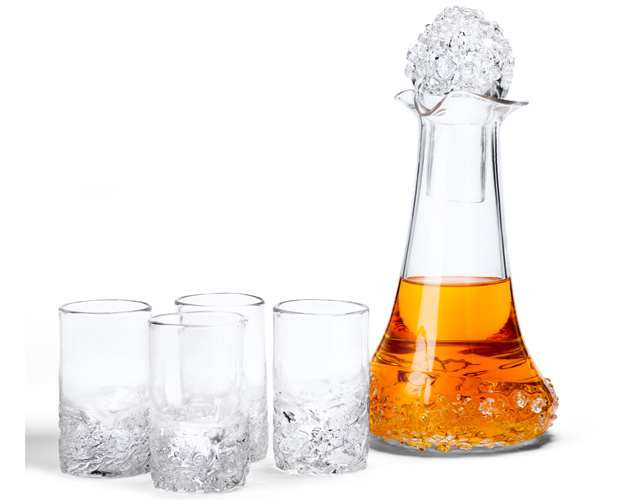 Handblown Scotch set with 4 glasses, decanter, stopper $195 by Terry & Jenn Wanless-Craig of Fuel Glassworks, Tory Hill, Ont.